The outcome of the UK’s vote on whether or not to remain a member of the European Union – which the “Vote Leave” campaign won dramatically with 51.9% of the vote, prompting Prime Minister David Cameron to resign – depended to a large extent on older members of the electorate successfully outvoting the young, according to YouGov’s post-vote polling. The YouGov poll, which was based on the results of asking their sample group how they had actually voted on Referendum Day, found that 75% of voters aged 18–24 had backed remaining in the EU, but the older the voters, the less support there was for “Remain”. Among voters aged 50–64 support for Brexit was at 56%, and that figure rose to 61% among the over-65s. How the polling figures broke down by age can be seen in a graph here. It’s worth mentioning that the YouGov poll’s projection of the overall result turned out to be narrowly wrong; they had expected Remain to win with 52% of the vote. However, their age breakdown chimes with the results of virtually all the previous polls on the subject. Many commentators made the argument that older generations have voted for a future where Britain will be less prosperous once it’s outside the EU, but which well-off older voters will be sheltered from as they won’t be looking for jobs or trying to get on the housing ladder. Younger voters can only hope that the dark predictions which were made before the poll about the impact a Brexit vote would have on Britain’s economy, especially for its young workers, don’t all come true. 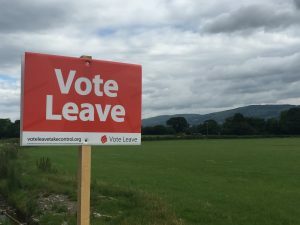 Ultimately, the Brexit referendum has damaged British society by deepening its major social divisions – between the different parts of the UK, different economic classes, and the forces of cosmopolitanism and parochialism. Yet it could be its impact on the relationship between the different generations which proves to be its most damaging legacy of all.